Does Fear of the Unknown Lead You to Spend More, Accept Less? | Good Life. Better. While bringing your lunch to work is a great tip for saving money, to be completely honest, I rarely do so. I bring my breakfast to work, and I have gotten much better about eating dinner at home, but lunch has always been a struggle. This is partly because I’m not great at planning ahead but I think even more so is because I like getting out of the office for lunch and how it breaks up my day. Lately, I’ve been eating at lot at this cafe close to work. 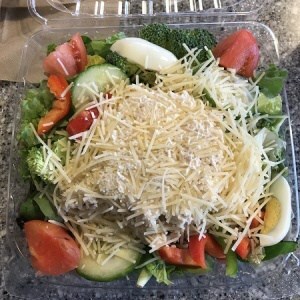 They have an amazing chicken salad salad (i.e., home-made chicken salad sitting on a bed of lettuce). Down the street from the cafe is a chain restaurant. The food there is fine but in my experience it costs more, is less tasty, and the portions are smaller. And yet, every day, as I sit there eating my yummy salad, I watch people walk past this family-owned cafe to go the chain restaurant where they will spend more to get less. Why? A big reason is because it is so much easier to choose the familiar, even for something as low-risk as lunch. We may not get the best of whatever it is we are buying, or pay the best price for it, but at least we get what we expect. And maybe this is fine when it comes to lunch, when the worst that could happen is we’re out a couple of dollars and settle for over-cooked chicken. But what if the stakes are higher, and choosing the familiar costs us hundreds or even thousands of dollars, and results in us receiving much lower quality products and services? There are a couple of opportunities I have been confronted with lately that I think this question is relevant for. I discuss them below, but want to assure you these are certainly not the only ways sticking with what we know could cost us. As you read on, think about how choosing the familiar affects your financial life. Now that I have finally paid off my debt, I plan to start traveling again which means dusting off my credit cards. I only have two cards right now: one that earns me Delta miles and another one that earns me generic travel points. To date, I have invested very little time trying to understand how to maximize the travel reward benefits these cards offer. But now? 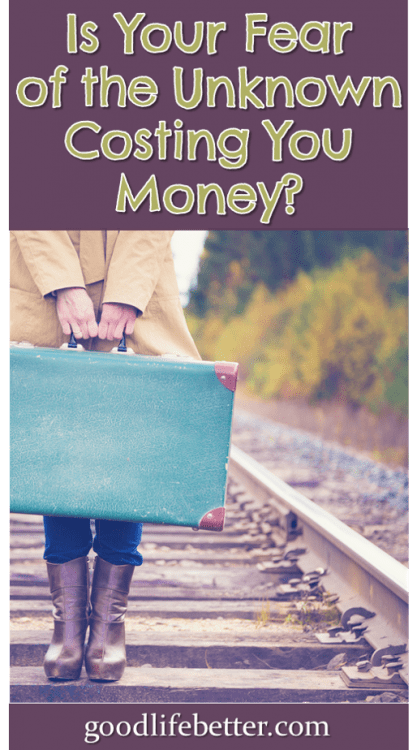 I know I want to build a lot of travel into my debt-free life (as I shared here in my post 4 Reasons Why You Should Create a Bucket List). So, given how important it is to me, shouldn’t I want to maximize every cent I spend to help me get to where I want to go for as little as possible? Well, yes, I should. But knowing I should and actually following through to do it are two different things. It’s just so much easier to use the cards I already have. Or my debit card. Or cash. So, how am I going to get myself out of my funk? I am going to get a little uncomfortable and change up my routine. There are two blogs I follow that are travel-hacking related (there are probably more but these are the ones top of mind). The first is BaldThoughts.Com run by a guy named Lee who I met in a blogger discussion group. He has a ton of posts on the site, probably many of which are beyond what I need to know as a newbie. Nevertheless, I think it will serve as a good resource for me as I move forward. The other site is ChooseFI.Com. It has a small travel rewards section that will be helpful in identifying how to baby-step my way into the travel rewards arena. Their posts correspond to podcasts episodes that I have already listened to as well, which somehow makes reading and taking action less daunting. Based on what I learn perusing these sites, my plan is to evaluate my two current cards and see if I want to keep using them and if yes how. If the answer is no, I need to figure out what new card—or cards—I want to apply for and how I can best use it. 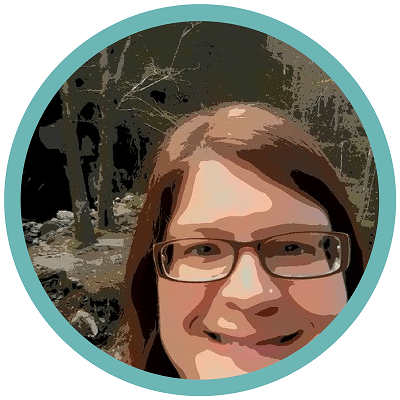 Since I have a lot going on in my life at the moment, I am not going to set a crazy, unrealistic goal for starting (but I do want to set a specific date so it doesn’t fall off my radar). So my goal is to do both those tasks—evaluate the two cards I currently have and determine if I should open a new card—by the first anniversary of Good Life. Better. (July 29th, 2018). I will let you know in a future post how it goes! The second opportunity I’ve recently been confronted with is taking on my first rental property: the one-bedroom condo I bought in 2005 and which I have lived in ever since. As an financial decision, owning this condo has had its ups and downs. At the moment, however, I could likely sell it for more than I paid for it and, even better, more than I owe on it. I could also, much to my surprise, rent it out. My building, like a lot of condo buildings, has a cap on the number of units that can be rented out at any one time (I think it has to do with owners being able to qualify for certain loans but don’t quote me on that). Years ago, I’d added my name to the list of owners wanting to rent out their units more to give myself options than because I was seriously contemplating it. To be honest, I had forgotten I had even done it. Then last week I get a call from the building manager telling me my name was now at the top of the list and I would need to have a tenant in place within 90 days if I wanted to proceed. I have spent so much time thinking about what I should do since I got that call, it’s not even funny. Should I do it? It would be a lot of work to get it done in that time frame but not impossible. But I have always said I don’t want to be a landlord. Ack! So many of the blogs I read, and podcasts I listen to, laud owning rental property as a path to wealth. If I pass up this opportunity, am I doing it because of fear of the unknown or because it genuinely is a poor move financially? After putting a lot of thought into it, I decided not to rent out my unit. Interestingly, this is not because I am as opposed to being a landlord as I used to be. The thought of owning rental property is still scary and uncomfortable, but I can see myself doing so in the future. What I realized, however, is that this particular unit is not the unit for me to start with. First, the building wasn’t built particularly well. After a large special assessment a few years ago that covered the costs of a major repair, the building is structurally sound but I worry other problems will crop in the future. Also, while the values have inched up in since 2015, I think they will flatten out in the coming years as interest rates rise. So, what’s my plan? Near term, it’s to maintain the status quo. Longer term, it’s to explore other options to purchase rental property. 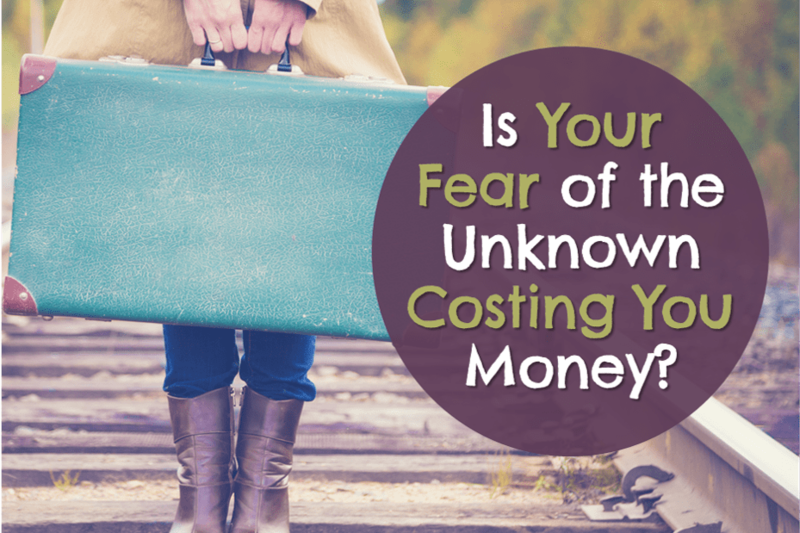 How Does Fear Affect Your Financial Decision-Making? 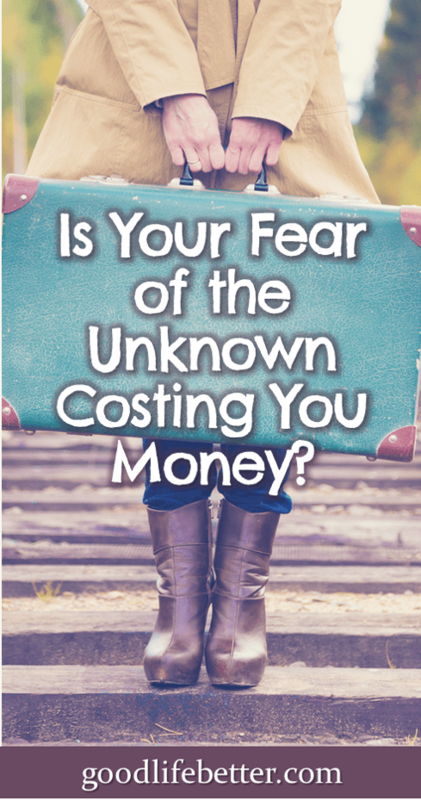 Is the fear of the unknown leading you to spend more or accept less? What one uncomfortable thing could you do today to improve you finances tomorrow? Let me know below in the comment section below! ChooseFI is a great resource for travel hacking. I also recommend travelmiles101.com which is owned by Brad Barrett, one of the ChooseFI guys. He is very knowledgeable in this area! I just got into it and am taking baby steps on the Chase gauntlet. Thank you–I knew he had a site but wasn’t sure the url. I will check it out!